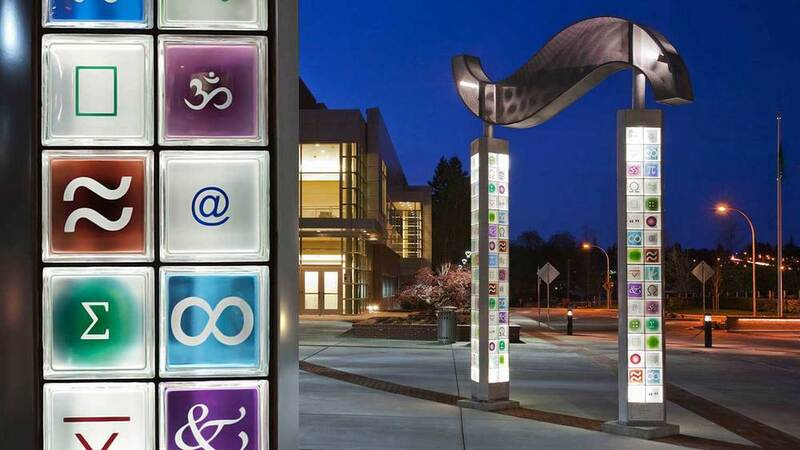 A sculptural gateway designed as a significant marker for the plaza at the new Humanities Building at Olympic College. 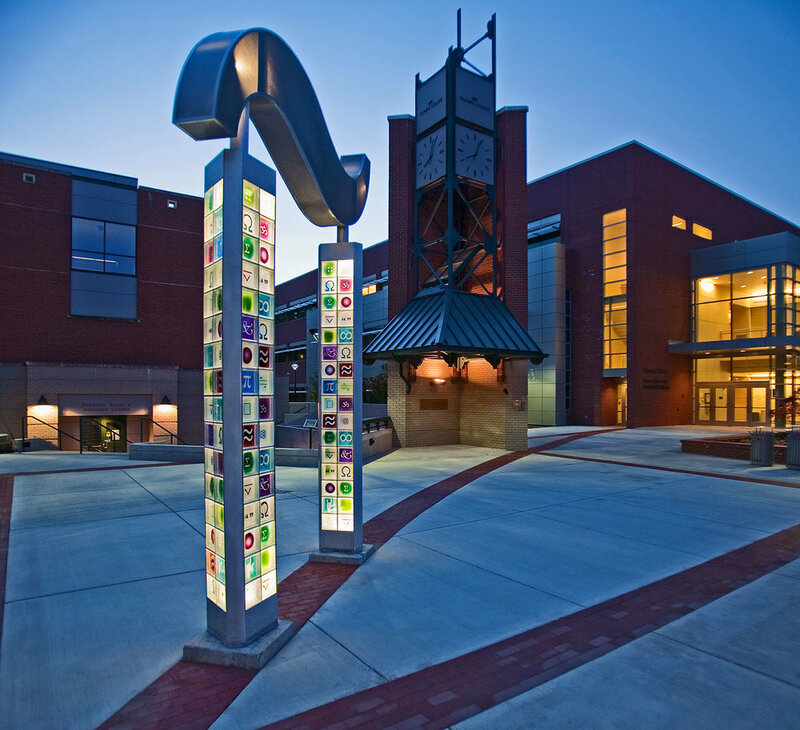 Two 12’ columns, composed of artist designed glass block, are bound together by a “tilde” shaped horizontal member. The “tilde” is a symbol used in the English language to create a specific sound in English. 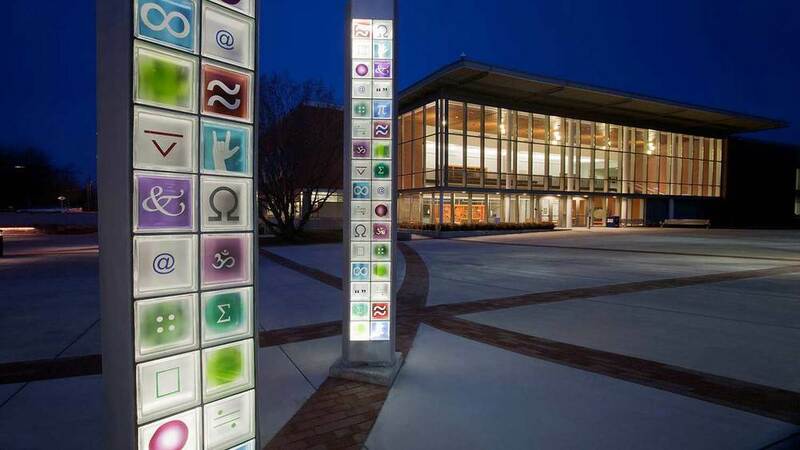 The two columns are lit from within at night to create a soft glow. Sign and symbols relate to the humanities, taught in the building. Commissioned by Olympic College, Bremerton, WA.